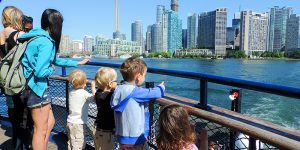 With scores of cruise lines and hundreds of ships, choosing a cruising experience can be daunting, even without diving into the world of theme cruises or choosing a cruise for a family reunion. To make it less so, we’ve compiled a catalogue of the best cruise lines and ships that cater to the American and Canadian markets. 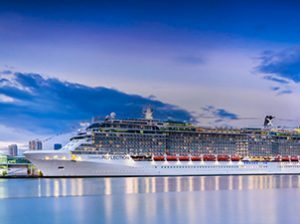 The rankings below are based upon information provided by actual cruisers and experts in the industry, as found in reports by U.S. News & World Report, Travel + Leisure, Condé Nast Traveler, Cruise Critic, and The Avid Cruiser. These were not lightweight studies. U.S. News, for example, based its study on expert evaluations of cruise ship quality, a ship’s reputation among travelers, and health assessments conducted by the U.S. Centers for Disease Control and Prevention. Travel + Leisure and Condé Nast each surveyed thousands of their subscribers for in-depth personal observations. 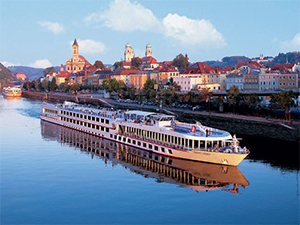 Our list is segmented by ocean cruises and river cruises, with additional segments on U.S. river cruises and cruises to Alaska and elsewhere. All cruise lines are presented in alphabetical order. Celebrity Cruises earns high marks from cruisers and experts alike thanks to its upscale design and innovative cuisine. While you can sail on a smaller ship like Celebrity Xpedition, which transports only 100 passengers, you can also cruise on a larger ship like Celebrity Silhouette, which can accommodate 2,886 passengers. 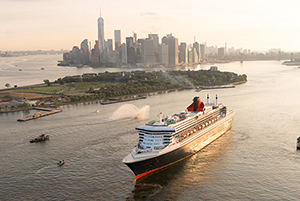 Cunard ‘s three ships receive well-rounded praise for their stylish accommodations and elegant facilities like upscale dining rooms and opulent ballrooms. Disney Cruise Line’s four ships receive kudos from families and critics alike for their kid-friendly atmosphere, whimsical amenities and spacious staterooms. 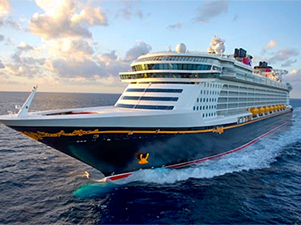 The theme of Disney cruises theme is understated enough that sentimental adults looking to reconnect with their childhood fantasies will enjoy sailing just as much as the kids: Each ship boasts secluded adults-only pools, restaurants and lounges. 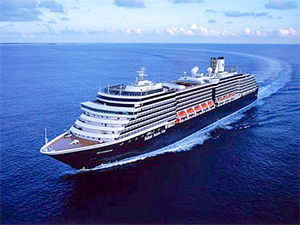 Holland America Line caters to affluent adults with midsize ships that carry between 835 and 2,650 guests. Each ship provides high-quality service with two or three crew members for every passenger. In 2018, Holland America Line’s ships will travel to destinations around Australia, Mexico, the Caribbean, Canada, Southeast Asia, Europe, South America, Antarctica and more. Although MSC’s ships differ in size, the whole fleet receives praise from previous passengers for its sophisticated ambiance and the value of its itineraries – the cruise fare covers ship activities and most meals (with the exception of specialty restaurants). 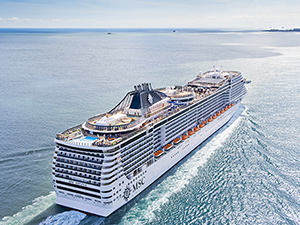 Swiss-based MSC Cruises sets itself apart from other cruise lines with its refined onboard experiences and eclectic selection of facilities, including adults-only pools, Balinese spas and 4-D cinemas. 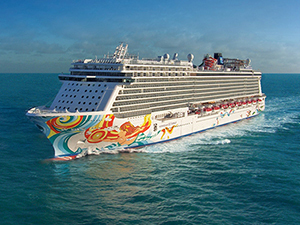 Norwegian Cruise Line is known for its fun, laid-back ambiance and inventive “freestyle cruising” concept, which promotes no enforced dress codes, no fixed dining times and comes with a plethora of onboard entertainment and family-friendly activities. Norwegian’s 14-ship fleet sails all over the world, with itineraries in Alaska, Hawaii, the Caribbean, Europe, Asia, South America and many more. During the voyage, adults stay entertained with live shows such as the Tony Award-nominated Rock of Ages musical or sketch comedy from The Second City comedy troupe (available on four ships). 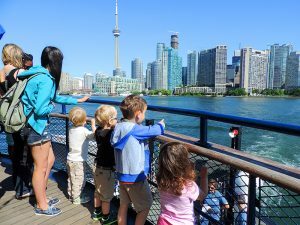 There are also onboard water parks and programs for kids. Oceania Cruises’ six midsize cruise ships have a low 1-to-2 crew-to-passenger ratios, gourmet cuisine and comprehensive itineraries. Oceania sails around the world in Europe, Alaska, the Mediterranean, the Caribbean, South America and the South Pacific, among other places. Its shore experiences are just as varied as its sailings: passengers can sign up for activities ranging from glacier sea kayaking in Juneau, Alaska, to tapas tastings in Barcelona, Spain. Should you wish to extend your time on shore, you can sign up for a pre- or post-cruise land tour with Oceania, which includes lodging, dining and transportation costs. French Polynesia has long been the ultimate get-away-from-it-all vacation for romantics and adventure-seekers. 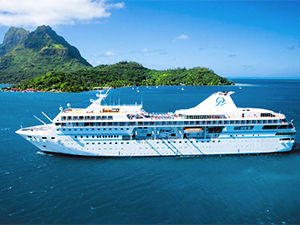 Enter Paul Gauguin Cruises, whose flagship of the same name was purpose-built for the region. This luxury vessel provides a comfortable, all-inclusive cruise experience, where the ship, appropriately, serves as a background to the beautiful scenery. Service is among the best we’ve experienced on any ship, reports Cruise Critic. Dining options are excellent, with fresh-caught seafood and over-the-top French cuisine, as well as Polynesian standards. Wines, cocktails, and spirits are included in the cruise fare. 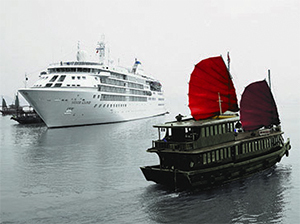 Pearl Seas Cruises’ 210-passengers Pearl Mist is for North American cruisers looking for small-ship experiences relatively close to home. The line’s all-balcony, one-ship fleet splits its time between the Great Lakes, Canadian Maritimes, Caribbean and Panama Canal. 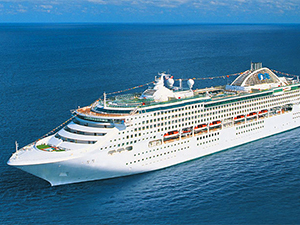 Cruises are usually port-intensive with a stop every day. Onboard, reports Cruise Critic, passengers find five-star service, gourmet dining that is flexible enough to accommodate all special needs, and daily presentations by destination experts. Princess Cruises’ claim to fame may be its starring role in the 1977 hit TV series “The Love Boat.” But since its Hollywood debut, the cruise line has continued making waves with enriching onboard activities and versatile itineraries. Princess’ 17-ship fleet traverses the globe, with popular sailings covering Hawaii, Alaska, Mexico, Europe, and the Caribbean, among other locations. Princess Cruises’ fleet features both midsize ships and larger ships, so you can select your ship according to your style and size preferences. 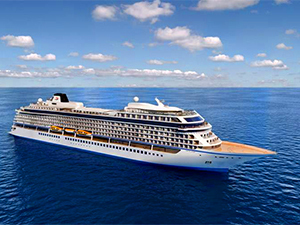 Regent Seven Seas Cruises receives high marks from experts and travelers alike for its all-inclusive approach and commitment to luxury service. All four of Regent’s ships offer all-suite accommodations, and with one crewmember for every one to two passengers, the line prides itself on its friendly, attentive staff. How long you’re on board a Regent ship can vary greatly, with 2018 voyages ranging from seven to 147 nights. Regent’s popular 2018 itineraries include stops in hundreds of ports in destinations like Africa, Alaska, the Caribbean, Europe and more. 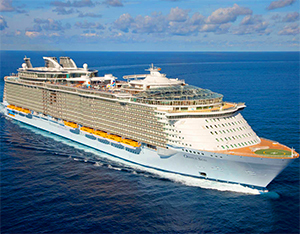 Despite its name, Royal Caribbean International offers voyages to 256 destinations across 64 countries on six continents. While you can certainly sail to the Caribbean and Mexico, you can also board a ship to Alaska, navigate the waterways of Europe or ride the waves down under to Australia and New Zealand. 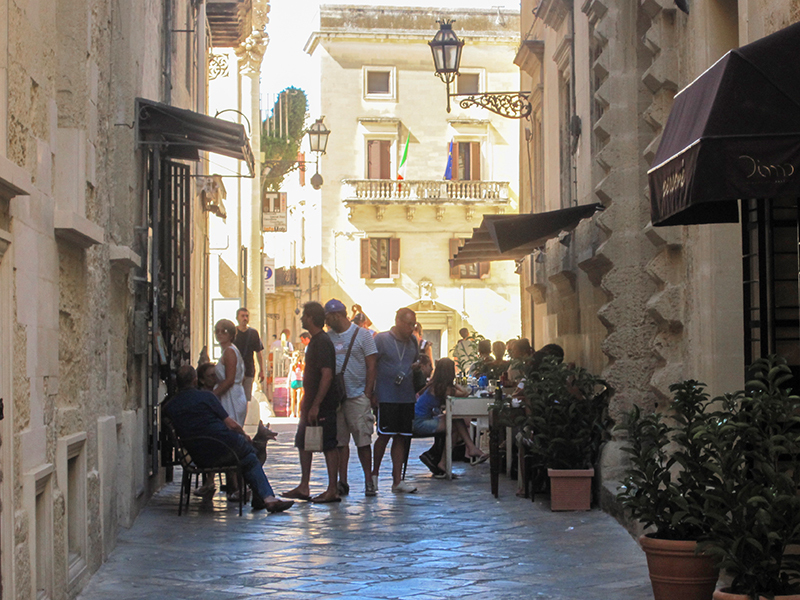 And depending on which itinerary you choose, you can taste local fare, tag along on a sightseeing tour or enjoy a nature hike – all of which are offered as shore excursions. 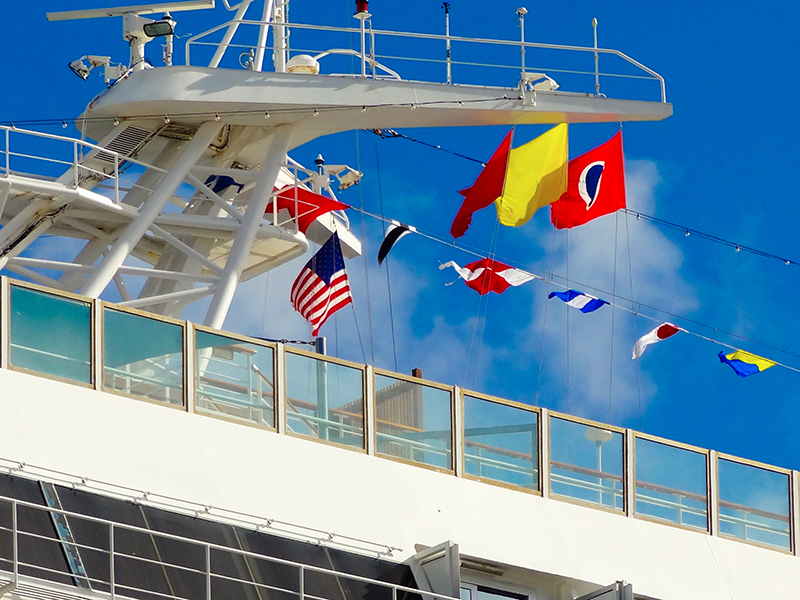 Royal Caribbean ships depart from ports all over the United States, as well as from numerous international ports. Itineraries range from three-night trips to 23-night journeys. 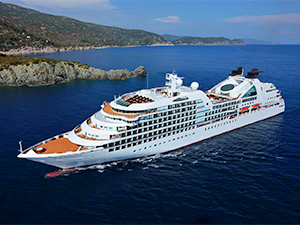 Seabourn prides itself on offering the crème de la crème of cruise experiences. 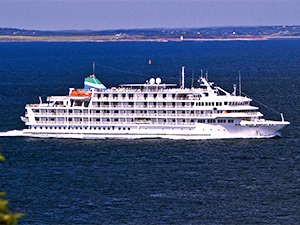 Its fleet of five ships offers cruisers a bevy of luxurious amenities. 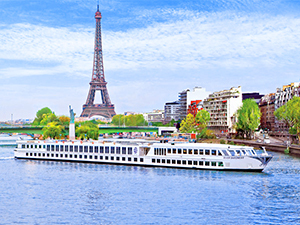 Travelers can expect multiple dining options, many of which feature menus crafted by Michelin-starred chef Thomas Keller, stimulating onboard activities, and a variety of excursions that you can experience before, during and after your cruise. Silversea Cruises has built a reputation for exclusivity and exemplary service with staples like spacious suites, diverse onboard activities and gourmet cuisine. The line’s nine small luxury ships – carrying between 100 and 596 guests – foster an intimate experience, with nearly one crew member for every passenger. These small-scale vessels can sail to remote ports in more than 900 destinations across the globe, enabling you to choose unique excursions like going on an elephant safari in India or go stargazing in the isles of the Scottish Highlands. 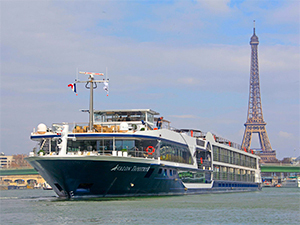 Known for its river cruise fleet, Viking Cruises ventured into the ocean cruising market in 2015, and it’s already earned acclaim for its inclusive luxury ships and engaging, destination-focused itineraries. 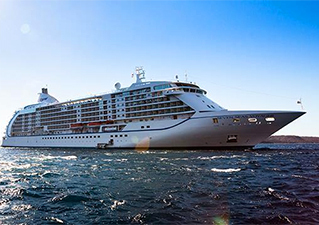 Viking Ocean Cruises appeal to active and intellectual adults who are interested in learning about the history and culture of the destinations they visit. The cruise line’s five identical 930-passenger ships include attractive perks, such as ship-wide complimentary Wi-Fi and accommodations that all have verandas. 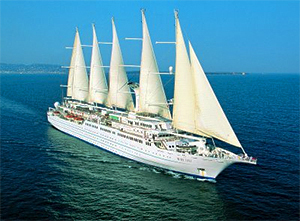 Windstar Cruises is one of a handful of cruise lines operating a fleet of small ships that offer the amenities of a premium cruise experience but with one utterly distinctive difference: Windstar’s ships have sails. Aside from sails, says The Avid Cruiser, Windstar’s hallmarks have remained consistent throughout its quarter-century history and through four different corporate owners: It’s a line that sails in beautiful, exotic locations; it provides great service and excellent dining; and its onboard vibe is completely casual and unregimented — no dress code, no loud onboard activities, no stress. AmaWaterways cruises the waters of Europe, Africa, Vietnam, and Cambodia, and a handful of ships just launched in 2016 and 2017. The 156-passenger AmaKristina, says Condé Nast Traveler, cruises the Rhine region and offers local delicacies in its restaurants, including at The Chef’s Table, where food is prepared right before you. Aqua Expeditions introduces passengers to the remote region of Peru’s Amazon River and Southeast Asia. 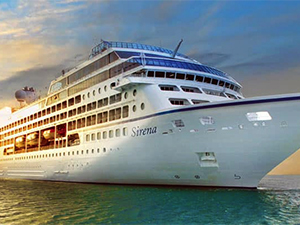 Committed to sustainable tourism, says Cruise Critic, the company has vowed to leave as small a footprint as possible. 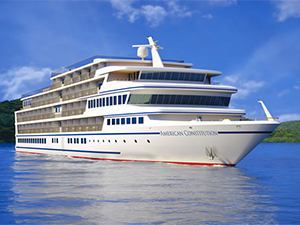 Its two ships feature suites that could be found on much larger sea-going vessels. Staterooms average 250 to 320 square feet and include ample storage, sitting areas and ensuite baths with rain head showers. 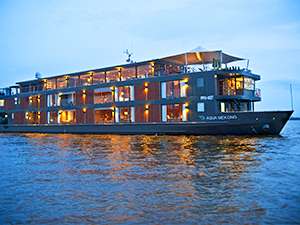 The boats are fully air-conditioned, but only the Aqua Mekong offers internet access. Avalon is primarily aimed at English-speaking markets in North America, Australia and the United Kingdom, says Cruise Critic. Amenities include hotel-style twin beds that can be combined to form queens. Ships have English-speaking crews and continental cuisine that appeals to the North American palate. The Avalon fleet doesn’t aim for lavish entertainment. The European ships have congenial bars and lounges with piano music after dinner, as well as some local entertainment from musicians. 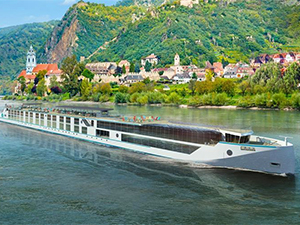 In 2016, Crystal Cruises, a company better known for its two large ocean ships, took to the rivers for the first time with the beautifully designed Crystal Mozart: a 154-passenger vessel that makes regular round-trip sailings from Vienna along the Danube. 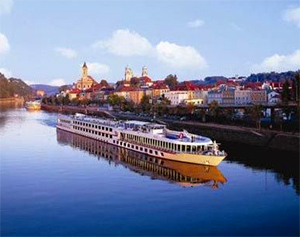 Grand Circle’s ships explore ports like the medieval Czech town of Cesky Krumlov and Speyer, Germany, where passengers are treated to a home-hosted kaffeeklatsch with local families. 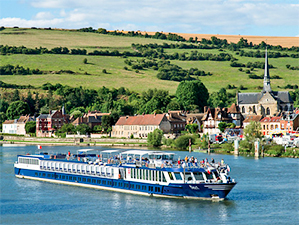 Tauck’s nine ships specialize in navigating the rivers of Northern Europe, with itineraries that highlight the castles of Germany’s Rhine River and explore Paris and Monet’s gardens at Giverny on a Seine cruise. 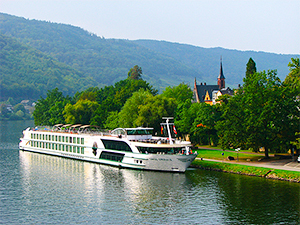 Uniworld’s 21 ships cruise around the globe in Europe, Russia, China, India, Vietnam, and Cambodia, says Condé Traveler. The “Village Day” program offers passengers on European and Russian sailings the opportunity to visit local homes, farms, and artisans, and every excursion is rated by ability level. Viking Cruises has expanded feverishly in recent years, says Condé Nast Traveler, with 64 river ships and four ocean ships in its fleet; 48 of those are considered “longships” designed with Scandinavian–style influences just for Viking. One of the best parts about a trip on American Cruise Lines America is being steeped in the history, lore, and music of the Mississippi—both on and off the ship. The ships sails on the Mississippi River. Expect jazz and blues musicians from the various ports to come on board for an after-dinner performance. Passengers will also get the chance to listen to the resident river historian regale passengers with entertaining lectures on everything from Mark Twain to the Civil War. 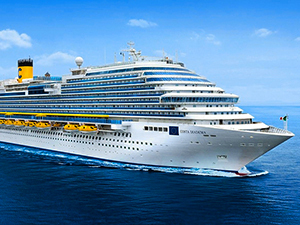 Cruises to Alaska are very popular and many of the major cruise lines offer them. According to Cruise Critic, the following seven-night cruises are the best Alaska Cruises in 2018: Silversea’s Silver Shadow ($4200), Norwegian Cruise Line’s Norwegian Pearl ($799), Celebrity’s Solstice ($859), and Royal Caribbean’s Radiance of the Seas ($623). UnCruise Adventures cruises are all about the adventures you have when you’re off the cruise…thus the moniker “’un’-cruise.” It offers 7 to 21-night small ship adventure cruises that highlight wilderness, wildlife, and off-the-beaten path explorations. 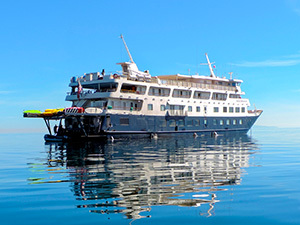 UnCruise Adventures’ vessel sails through Alaska, British Columbia, on the Columbia and Snake River in the U.S. Northwest; Costa Rica; the Galapagos; Hawaii; Mexico; and Panam. And it may be just right for you.